Interview with the developers of the "MS-20"
- Tell us about the concept and development process - along with any interesting encounters you had - during your revival of the original MS-20. Since the monotron and monotribe allowed us to give users of all ages and levels of musical experience the unique enjoyment of creating sounds with an analog synthesizer, we felt that our next step should be to provide a full-fledged analog synthesizer. The MS-20 is what immediately came to mind. The development of software instruments such as the iMS-20 had given us experience in how to convey the basic design and specifications of the MS series, and we had also heard requests for analog sound modules in the Korg Legacy Collection, so it was a clear and natural decision that we should start the development process. Developing the MS-20 mini brought to mind numerous memories from when we first developed the MS-20 thirty-five years ago. One particular memory was of our difficulties in deciding how to select transistors. Another interesting memory was when Gotthold Meyer from our German distributer (MUSIK MEYER Corporation) told us that the MS-20 could also be used as educational equipment for teaching science, and that we made an ultra-large MS-20 the size of a blackboard.t we should start the development process. - How is the MS-20 mini superior to the original MS-20? We&apos;ve added MIDI input and a USB port that were not available on the original MS-20, allowing the new model to be smoothly integrated into modern music production environments. Another advantage is that it&apos;s slightly smaller than the original MS-20, saving space. In particular, the newly compact body is something you&apos;ll appreciate once you&apos;ve used it. - Why did you decide on a body size that was 86% of the original MS-20? 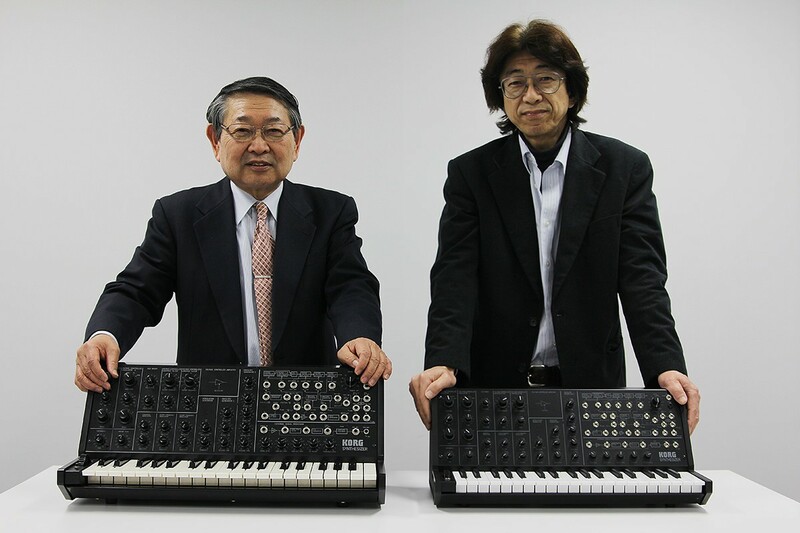 We have great respect for the original MS-20, so we felt that it would be devaluing to make the new model exactly the same size as the original. That&apos;s why the size is different than the original. We also felt that it looked good in a slightly smaller size. - What gave you the most trouble when designing the MS-20 mini? As with the original MS-20, there was much deliberation in deciding on the transistors. That&apos;s because the performance of an analog synthesizer is greatly affected by things that don&apos;t appear on the spec sheet, such as the pairing characteristics of the transistors, and their response and consistency in the micro-current domain. 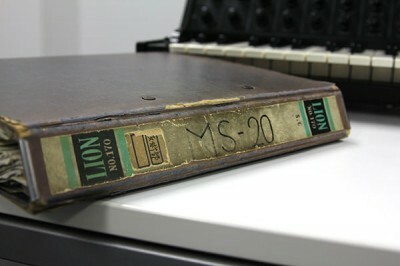 - Earlier and later models of the original MS-20 used different filters. Which filter did you select for the MS-20 mini? 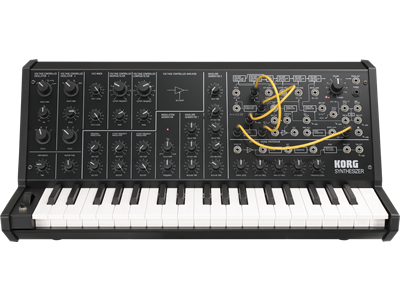 The MS-20 uses the KORG35 circuit that was on the earlier version of MS-20. Preferences vary between users, but we felt that the earlier version of the filter created a sound that had a more distinctive presence, and thus it was the appropriate choice for this reincarnation. - Do you have plans to release circuit diagrams to users so that they can modify the MS-20 to support Hard Sync or Filter-FM, as you did for the monotribe? As we did for the monotron and monotribe circuit diagrams, we will consider this if there is user demand. 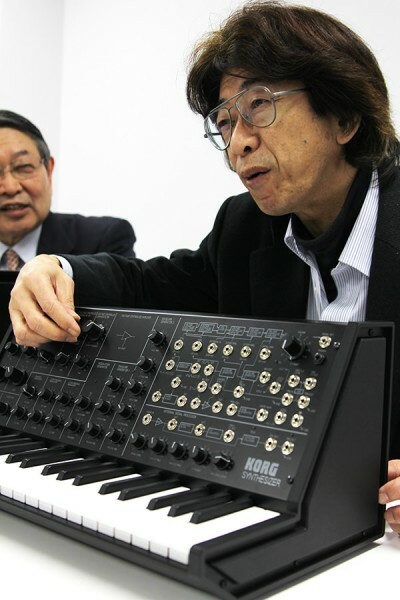 However, the MS-20 mini is more complex than the monotron and monotribe, so it will be more difficult to modify. - Can the MS-20 mini receive MIDI control data and respond to it? Using coarse-resolution (128-step) MIDI data to control an analog synthesizer such as the MS-20 mini will not give you the smooth, un-stepped parameter changes that are characteristic of analog synthesizers, so from the design stage we made the decision to limit MIDI support to note data. This means that if you connect the MS-20 mini&apos;s MIDI input to the MIDI output of your keyboard or DAW, it will receive keyboard note data and produce sound in response. As developers, we want you to experience the unique enjoyment of analog synthesizers, so instead of using the parameters of the MS-20 mini via MIDI, we&apos;d like you to use the instrument hands on in realtime and enjoy how the sound changes dynamically. - Do you have plans for reviving other MS series models in the future, such as the SQ-10 or the MS-50? We want to give people who have never actually touched an analog synthesizer the chance of experiencing how much fun it can be. Just how necessary such a device would be in the present day is something that we&apos;ll decide after seeing the response from MS-20 mini users. 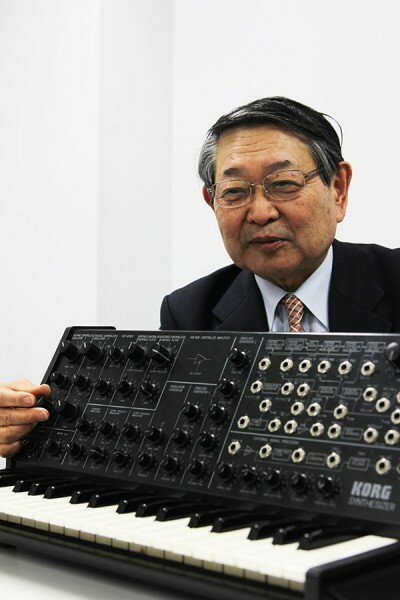 - Finally, what do the two of think is the greatest attraction to the MS-20 mini? Very simply, it&apos;s a way to understand the origin of the synthesizer. As the developers, our wish is that the MS-20 mini will let you understand the enjoyment of creating your own sounds from scratch, rather than simply using ready-made sounds. Set it on your desk as your “go-to instrument”!